Get the best Plumbing, Drainage and Gas advice with top quality workmanship with your New Home. 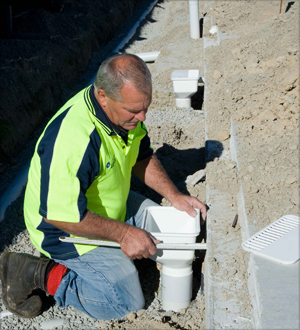 Laser Plumbing Christchurch East provides a wide range of plumbing, drainage and gas fitting services for homes and businesses across all of Christchurch's suburbs and surrounding areas. Our highly qualified and experienced plumbers can provide you with all the services you would expect from a reliable plumbing contractor. We ensure consistent national pricing, high service standards and highly skilled plumbers. When you hire Laser Plumbing Christchurch East to do a job, you'll receive our 'Totally Dependable' service, guaranteed! Laser Plumbing Christchurch East is ready to respond to your plumbing requirements. Whether your bathroom is flooded or you just need a toilet unblocked, you can rely on Laser Plumbing Christchurch East to provide a ‘Totally Dependable’ service. Laser Plumbing Christchurch East is a leading plumbing contracting business providing domestic, commercial, industrial and maintenance services. We offer competitive pricing, invest in friendly, experienced professionals and offer complete solutions for all your plumbing needs. Our plumbers will provide you with friendly, professional and knowledgeable service. Need a 'Totally Dependable' plumber? Laser Plumbing Christchurch East can take care of all your plumbing needs! Contact us today!